I’ve really enjoyed the more consistent sound this band have been dialing in, though, since Elements Of The Infinite (funnily enough, the last Allegaeon album I personally reviewed here), where they’re trying to hit this interesting note that sits somewhere between Soilwork, Nevermore, and Dream Theater while incorporating some other more bombastic straight-forward death metal elements into things. Suffice it to say, I like all Allegaeon, but I’ve found myself liking this incarnation of the band the best by far. Not to say there haven’t been differences among Elements Of The Infinite, Proponent For Sentience, and the band’s new work Apoptosis. In fact, I actually feel the approach to the music is distinctly different on all three. Elements Of The Infinite was very ambitious, proggy, maybe a bit pretentious, but I’d call it Allegaeon’s most comprehensively expansive album in their discography, whereas Proponent For Sentience was really driven by hooks, energy, and a generally fast pace that didn’t relent. Apoptosis, the band’s upcoming album, is an interesting one. It’s got a very dry sort of darkness to it that’s oppressive and brutal. The energy of Proponent For Sentience is still there, along with the generally fast pacing, but the music itself is not so bright anymore. A lot of the riffs and melodies are very stoic and existentially furious by contrast. By extension, this is the most death metal album Allegaeon have ever written. Amidst the typical guitar virtuosity of Greg Burgess and Michael Stancel are plenty of moments of just absolute neanderthal brutalitarian carnage that sometimes feels like the band are channeling a bit of groups like Aborted (especially on the track “Exothermic Chemical Combustion”, which could easily fit a Sven vocal guest spot, or some of the more explosive moments on the album’s opener and second song, “Pathenogenesis” and “Interphase//Meiosis”). Even Riley McShane’s vocal delivery is distinctly more guttural and more powerful than before. I definitely feel that more overall “impact” was part of the goal of this album musically. The album definitely has some of Allegaeon’s best-written songs. The opener I mentioned earlier might just be their BEST opener of any album in their discography. 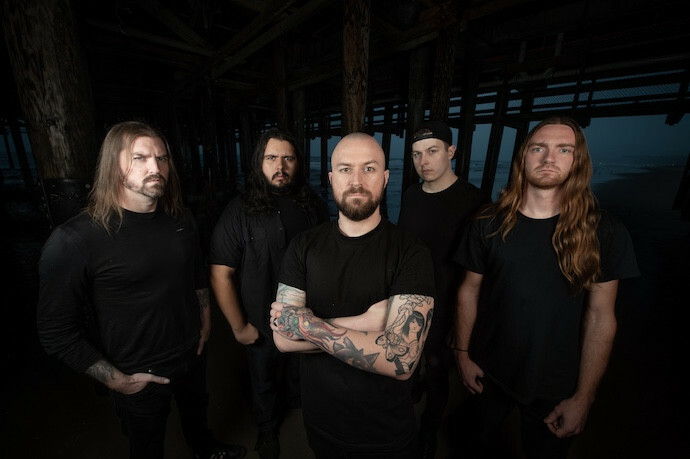 The album’s first single, “Stellar Tidal Disruption”, is a fantastic, evolved throwback to the band’s old played-straight technical melodic death metal roots. And “The Secular Age” is a fantastic bit of Allegaeon’s approach to a thrashier song-writing that would definitely make Jeff Loomis proud. 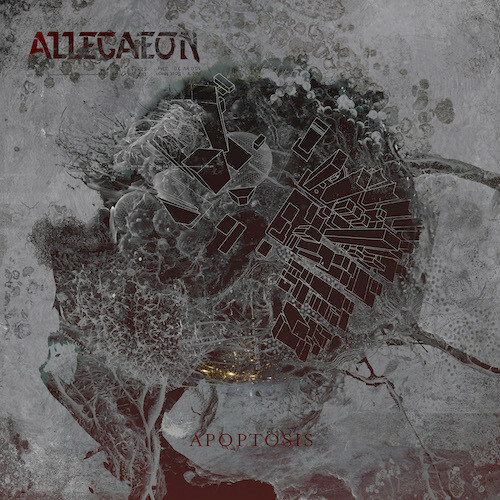 Apoptosis is maybe not Allegaeon’s most universally appealing record, but as musicians serving art, it might just be their best, as well as possibly my favorite of their entire discography. The one thing you missed, however, is how weirdly the title-track (which stole our song-title, dammit… /s) echoes “Heart Shaped Box” at the start. Once you hear it, you won’t be able to un-hear it.